He then went on to study with the exceptional cellists Janos Starker at Indiana University and Ralph Kirshbaum at the Royal Northern College of Music in Manchester and got further artistic stimulation through Mischa Maisky at the Accademia Chigiana Siena. While still a student, Erich won numerous prizes at international competitions.He performed as a soloist under important conductors such as Daniel Barenboim. As a soloist Erich Oskar Huetter performed in major concert halls including Musikverein and Konzerthaus (Vienna), Mozarteum (Salzburg), Brucknerhaus (Linz), Beethoven-Haus (Bonn), Royal Castle (Warsaw), Lisinski Hall (Zagreb), Kennedy Center and Library of Congress (Washington), UN-Headquarter and Austrian Culture Forum (New York City), Gonfalone (Rom), Imola (Emilia Romagna Festival), Jin Mao Concert Hall and Shanghai Conservatory (Shanghai), Casino (Basel), Bukarest (Sonoro Festival), Stefaniensaal (Graz), Jerusalem Music Center, Philharmonie (Berlin), Glocke (Bremen), Valencia (Philharmony), National Conservatory Singapure and Schleswig Holstein Music Festival.E.O. Huetter is a member of Hyperion Ensemble, a classical string sextet and the Arcus Ensemble Vienna. In recitals he regulary performs with the Viennese pianist Paul Gulda. Recently he founded the social-cultural initiative “haus.kultur” Die Steirischen Nachbarschaftskonzerte in Graz/Austria. (www.amuse.co.at). Germany of Schumann’s Concerto in A minor with the Philharmonie Südwestfalen. In the end of 2014 he performed compositions by Rachmaninow and Chopin in 40 famous halls in France, incl. Paris, Nantes, Bordeaux, Lille, with accompaniment of the symphony orchestra. He heads master classes in Salzburg, Telč, Reykjavik, Edmonton, Rio de Janeiro, Prishtina and Prague.Since 2009 he is profesor at International Conservatorium Prague. 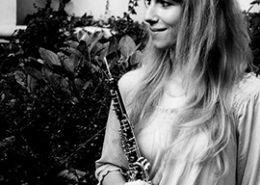 Kamila Moťková started playing the oboe when she was 14. After six years of studies at Janacek Conservatory in Ostrava she continued at the Academy of Performing Arts in Prague with professor Jana Brožková. After graduating a bachelor and master program she finishes her postgradual studies at the same school this year. She extended her studies at CNSMD in Lyon with Jean – Louis Capezzali, Jerome Guichard and Fabien Thouand. Mrs. Mot’ková participated masterclasses with Omar Zoboli, Richar Kilmer, Nancy Ambrose King, Heinz Holliger, Christian Wetzel etc. She also succesfully participated many competition, e.g. International Instrumental Competition in Markneukirchen (Germany), International Oboe Competiton in Petritoli (Italy), ARD Munich (Germany), etc. Kamila Mot’ková cooperates with many orchestras in the Czech Republic as well as in abroad. She regularly cooperates with a famous chamber orchestra Kremerata Baltica and Gidon Kremer. 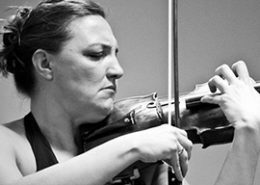 Kamila Mot’ková is also an active chamber player and regularly collaborates with a lot of chamber groups. Within her postgradual program she works with students as a teacher. Ljubisa Jovanovic has acquired his Bachelor’s and MA degrees in Belgrade, under the mentorship of Prof. Miodrag Azanjac and had the advance training with the Prof. Christian Lardé in Paris where he received the Diplome Superieur de Concertiste, in 1983, at L’Ecole Normale Superieur de Musique de Paris. After that, he has established a long-term cooperation with Aurele Nicolet. Ljubisa Jovanovic has performed at all significant festivals in former Yugoslavia as well as in France, Switzerland, China, Italy, Austria, Germany, Russia, Romania, Great Britain, Algeria, Finland, Denmark, Ukraine, South Africa, Norway and Argentine. 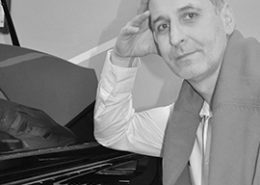 Ljubisa Jovanovic has won the First Prize for interpretation at the “International Composer’s Revue” (1992&1998. ); the “Golden Link” award (“Zlatni Beočug”) for the artistic achievements in 1992; “Annual Award of the of Serbian Musical Artists Association” (1992. ), and the “Award of the Belgrade Cultural Fund” for the best concerts in Belgrade in 1987,1989, 1991 and 1992. He has also received the “Gold Medal” awarded in honour of the 75th anniversary of the Belgrade Philharmonic Orchestra (1998) and “Silver medal of the University of Art” for his merits in improvement of teaching process (2000), as well as the “April Reward of the City of Belgrade” for 2008&2013. He has been awarded the highest educational recognition, “St. Sava National Award” for his special contribution to the development of educational process in Republic of Serbia in 2009. He has held master classes in Germany, Argentina, Italy, Ukraine, Norway, China, South Africa, Romania, Croatia, Montenegro and Serbia. Some of the most prominent flute players of our times have performed with Ljubisa Jovanovic – Aurele Nicolet, Irena Grafenauer, Emmanuel Pahud, Michel Debost, Christian Lardé. His recordings are stored on more than 50 CDs. During 30 years of his artistic activities, he has had more than 60 premiere performances of solo and chamber compositions of Serbian authors. Ljubisa Jovanovic has worked as a Solo flutist at the Belgrade Opera and Ballet Orchestra (1978-’88), Serbian Radio&TV Symphony Orchestra (1988-’89.) and Belgrade Philharmonic Orchestra (1989-2004.). He is Professor of flute at the Faculty of Music Art in Belgrade since 1993. He has the same title since 1996. at the Music Academy at the Montenegro University. From 2002 until 2009, he was a Vice Dean for Artistic and Science work at the Faculty of Music Art in Belgrade. He is the founder and the president of “Camerata Serbica Orchestra” founded in 2004. Since 2010. he is the artistic leader and a conductor of the “Lola Classic” ensembles. Ljubisa Jovanovic is author and president/director of BUNT Festival in Belgrade. Ljubisa Jovanovic is playing on 14k golden flute with silver mechanic made by WM.S.HAYNES! Eriona Dragoicea- Gjyzeli is an acclaimed albanian soprano with a very rich artistic repertoire, despite her age. Born in Tirana Albania, she graduated with excellent results in 2003 from University of Arts in Tirana at the class of Prof. Suzana Frasheri. She was granted a scholarship for two years offered by the CEE Muziktheatre in Vienna, in which framework she studied with the distinguished Soprano lleana Cotrubasin 2005 and with the famous Bariton Bernd Weikl in 2006. After her graduation,she auditioned for the National Theater of Opera and Ballet in Tirana where she obtained the soloist position. In 2003 she won first prize at the National Competiton “Pjeter Gaci”, and in 2004 she won first prize at the International Operistic Festival “Marie Kraja”. “L’elisir d’amore”, Nanetta in ” Falstaf”, Ariana in “Ali Pascha von Janina”, Giulietta in “The tales of Hoffmann”, Micaela in “Carmen”, Euridice in “Orpheo und Euridice”, Sophie in “Werther”, also as Maria in “West Side Story”, Clara in “Porgy & Bess”. Güloya Altay was born in Istanbul, in 1981. In 1992 she began her French horn study in Bilkent University, Faculty of Music and Performing Arts, under the supervision of Mahir Çakar. In 1993 she won the second prizes of “Rotary Club – The Young Musician of the Year Competition” and in 1996 British Council’s “Brass Instruments Competition”. At the same year she became a finalist at “Jeunesse Musicales – Horn Competition” where there was no first and second prizewinner. In 1997 with the support of Mahir Çakar, Ms. Altay went to Frankfurt Musik Hochschule where she was accepted by well-known soloist Prof. Marie Luise Neunecker. Altay was accepted to “Federal German Youth Orchestra” in 1998 and ¨ Gustav Mahler Youth Orchestra ¨ in 2000. She performed in both orchestras for three years. In 2000 she was invited as solo performer by ZDF to ¨ ACHTUNG KLASSIK ¨ classical music television broadcast. She performed Concerto No. 3 by W. A. Mozart under direction of Justus Franz with “Philharmonie der Nationen”. In the year of 2000 and afterwards, she was invited to many concerts by “Society of Music Life” (Stiftung Musik Leben). She also gave various concerts with the well-known brass-group “Woman in Brass” as a member. The general artistic director of “Oldenburg State Opera” (Staatstheater Oldenburg) Alexander Rumpf invited Güloya Altay as the solo horn player to this orchestra. However, due to her young age (17), Prof. Marie Luise Neunecker advised her not to accept this proposal. Eventually, Altay began her professional career in “Frankfurt Opera” (Museumsorchester Frankfurt) at the age of 19. In 2002, – after her instructor’s approval and the following solo horn audition – Altay took position in “Oldenburg State Opera” which she carried out with success for one year. In 2003 she won the audition of “Bremen Philharmonic Orchestra” where she worked until 2006 as the 3rd and 1st horn player. In 2006 she won the audition of “Bavarian State Orchestra Munich” (Bayerische Staatsoper München), as the first female horn player in its 450 years of history. She worked there until 2008 under Kent Nagano, the general artistic director. In 2008 she won the 2nd horn position in “Frankfurt Opera” and worked there until 2009. Following that, she returned to Turkey in order to take position as the 2nd and 3rdhorn player in “Bilkent Symphony Orchestra” in Ankara. Since 2009, she has also been working at Bilkent University, Faculty of Music and Performing Arts as an instructor. Ms. Altay worked with many famous conductors during her career such as Claudio Abbado, Zubin Mehta, Kent Nagano, Mariss Janssons, Daniel Harding, Gianandrea Noseda, Esa Pekka Salonen, Ingo Metzmacher, Gennady Nikolayevich Rozhdestvensky and Kurt Masur. She had invitations from many countries in Europe and Far East. One of the most important orchestras that she was invited on regular basis is “Mahler Chamber Orchestra” that was founded by Claudio Abbado. After her graduation from Hanns Eisler Musik Hoschschule in Berlin, Ms. Altay was accepted to Johannes Gutenberg University in Mainz where she received her doctoral degree in 2012 under the supervision of Sibylle Mahni Haas. In her graduation performance, she played “Serenade” (for solo horn, tenor solo and string orchestra) by Benjamin Britten. This performance was recorded in a CD by Johannes Gutenberg University Mainz. 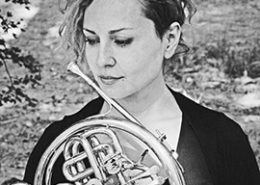 In “Bilkent New Music Days” (2013), she performed “Boruzen” (for solo horn and live-electronics) that was dedicated to her by her composer sister Gökçe Altay. The performance was live-recorded. In the summer of 2015, Güloya Altay was invited as horn and brass chamber music professor to ESMA (European Summer Music Academy) in Kosovo where the most successful artists from entire Europe were selected for this project. There she gave a solo concert and a chamber music concert. Since 2015 she has been working with the chamber music ensemble “Octopus” as a founding member and performer. Ms. Altay has been invited from March to June 2016 to perform the Ring Cycle of Richard Wagner in Washington National Opera and Kennedy Center where she accomplished this project with first Wagnertuba. 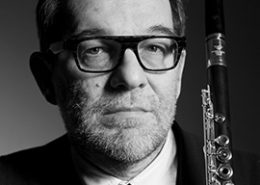 As the founder of the “Luxembourg Woodwind Quintet”, clarinet sextet “Claritimico”, and the “Luxembourg Clarinet Choir”, Marcel Lallemang creates platforms for the promotion of diverse chamber music ensembles and their music, and is regularly heard with the “Kammermusik Verein Luxemburg” and “United Instruments of Lucilin”. As a chamber musician he performs with Ludmila Berlinskaja, Ana Chumachenko, Alain Damiens, and Eduard Brunner, amongst others. Born in Luxembourg, he started his musical training at the city’s Conservatoire and later went on to study at the Royal Conservatory of Brussels and at the “Hochschule für Musik Saar” in Saarbrucken. As an international soloist he makes appearances in a multitude of genres including chamber music, contemporary music and jazz. Marcel regularly collaborates with composers and has given world premieres in concert halls including the Vienna Konzerthaus, the Amsterdam Muziekgebouw, National Concert Hall in Dublin, Les Bouffes du Nord (Paris) and the Philharmonie Luxembourg. 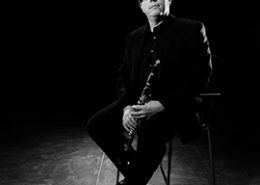 Marcel Lallemang is professor for clarinet and chamber music at the Luxembourg Conservatory of Music and teached at the “Hochschule für Musik Saar” in Saarbrucken, Germany. 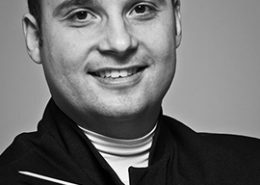 He is the president of the Luxembourg Clarinet Association and held masterclasses at the Trinity University Dublin, Libramont (Belgium), Robert Schumann Musikhochschule Düsseldorf (Germany). 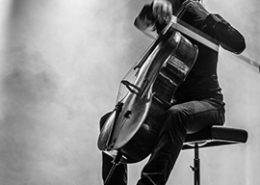 In addition to his pedagogical activities, he pursues a solo career and is featured as a guest at various European festivals, as well as in China, the USA and Argentinia. His CD recordings appear on the Antes and Tudor labels. Well-known trumpeter, Prof. Isak Shehu was born in Peshkopia, Albania in 1956. While he was in a high school in his hometown, he was also engaged as a trumpeter. In 1976 Isak Shehu began his studies in the Institute of Arts, known today as the University of Arts in Tirana, for trumpet and composition. During these years he participated in many cultural and artistic events as a trumpeter, and was rewarded with different prizes. More significant were the first prize as an instrumentalist and the third prize as a composer in “Concerts of May” in 1980. Isak Shehu was graduated very successfully in 1981 and few months later, in September, he was appointed Assistant Professor in the Department of Instrumentalists in the Institute of Art (now University of Art), Tirana to teach Special Trumpet, Chamber Music and Harmony. He started his post graduated studies at the same year and completed them in 1990. In 1987 Isak Shehu was the initiator of founding the first Brass Quintet in the Institute of Arts, which has performed successfully in many concerts across Albania and television recordings. Isak Shehu has a long experience in teaching. An important aspect of it is the implementation of the new modern methods of playing the trumpet and combining them with the traditional methods. In this context and based in his experience, he published two student textbooks “How to play the trumpet” and “10 characteristic etudes for trumpet”. As a trumpeter, Isak Shehu has performed in around 300 concerts in Albania and abroad, playing a wide repertoire for trumpet and chamber music written by Albanian and foreign composers, classic or contemporary authors. As a composer, Isak Shehu has written a numerous works, such as the symphony “The Illyrians”, 1981, Symphonic Suite, 1982, Trumpet Concerto No.1, 1981, Concertino for Oboe, 1983, Sonata for Trumpet, 1984, Suite for Brass Quintet, 1984, Variations for Fagot 2012. His works have been performed in years from the Albanian musicians. In January 1988 Isak Shehu established the Wind Instruments department and was Chief of it until December 1993. 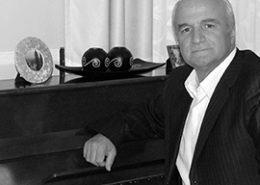 Prof. Isak Shehu currently works as Professor at the University of Arts in Tirana, Faculty of Music and as a Guest Professor in the Faculty of Music in Tetovo. After his studies at the « Paris Conservatoire » (CNSM) – unanimously given first prizes as best violist in the classes of Serge Collot and Maurice Crut (chamber music), post graduate (« troisième cycle ») with Bruno Pasquier – Laurent Verney became first principal violist at « Opéra de Paris » at the age of 25.Laurent Verney has also led a career in playing chamber music and as a solo artist. He has performed solo with such orchestras as : Radio France Philarmonic, National Capitole orchestra of Toulouse, Bucarest Philarmonic orchestra, Opéra de Paris orchestra… under the baton of conductors such as Y. Menuhin , P. Dervaux, E. Inbal, M.W. Chung…In chamber music he has regularly collaborated with musicians such as Augustin Dumay, Nicholas Angelich, Veronika Eberle, Marc Coppey, Michel Portal, Franck Braley, Olivier Charlier, Pierre-Laurent Aimard, Jérôme Pernoo, Gérard Caussé, Emmanuel Pahud, Paul Meyer, Daishin Kashimoto, J.G Queyras, Philippe Bernold, Henri Demarquette, Antoine Tamestit, Renaud et Gautier Capuçon… in many festivals : « l’Empéri », « festival de Montpellier », Deauville, « les folles journées de Nantes », Montréal, Wigmore hall London, « Présences » de Radio France.Professor of viola at « Paris Conservatoire » (CRR), he coaches the viola section of the French Youth Orchestra (OFJ).Training Courses, Master classes : Courchevel, Les Arcs, Nice, Séoul…Ardent defender of his instrument and of its repertoire over the centuries, Laurent Verney has a taste for and strong interest in contemporary music. He has notably played under the baton of Luciano Berio, and given the first performances of pieces by Nicolas Bacri, Lucien Guérinel, Louis Saguer, Amali Tlil, Michèle Reverdy. He regularly plays contempory masterpieces of Salvatore Sciarrino, Bruno Mantovani, Iannis Xenakis, Toru Takemitsu, Gérard Grisey… (including two creation by his teacher Serge Collot) : Sequenza VI (Berio), « Le Marteau sans maître » de Boulez. His discography includes, amongst others, Works by Nicolas Bacri for viola and orchestra (« Grand Prix de la nouvelle Académie »), « Romantic Viola » became « the Art of the Viola » in 2007 on the Arion label, Brahms’s Sonatas with Nicholas Angelich (Harmonia Mundi), Schubert’s Trout Quintett (Capuçon, Pernoo….) Erato label, « Rencontres » by Michèle Reverdy, « Opéra en duo » with Emmanuel Ceysson (Harp) with the participation of Pelleas trio Flote, Viola and Harp (Frédéric Chatoux , flote ) and « Harold in Italy » by Hector Berlioz with the Opéra de Paris and Myung-Whun Chung on Deutsche Grammophon Gesellschaft records (nominated best record of the year by the publication « le Monde de la musique ». 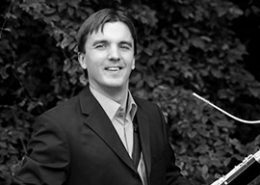 Roman Reznik studied the bassoon at the Academy of Music in Vienna with Milan Turkovic,at the University of Arts Berlin with Eckart Hubner and with Sergio Azzolini at the Academy of Music in Basel. He won first prize at the international woodwind competition for young musicians in Moscow,received scholarship from Interlochen summer academy in USA and was concerto competition winner there.He received a special prize at the International Competition Prague Spring. Roman Reznik was member of Villa Musica Chamber Music society and performed together with such leading musicians as Klaus Hellwig (piano), Burkhard Glaetzner (oboe), Francois Benda (clarinet), Christian Dallmann (horn) and many others. While still studying he was Principal Bassoonist of the Gustav Mahler Youth Orchestra and as guest solo bassoonist performed with Mahler Chamber Orchestra, Munich Chamber Orchestra, Berlin Symphony Orchestra, Royal Stockholm Philharmonic Orchestra, Gothenburg Symhpony Orchestra, Stavanger Symphony Orchestra. From 2008 till 2010 he was Principal Bassoonist with Norrkoping Symphony Orchestra Sweden and since 2009 he is Co-Principal Bassoonist with Oslo Philharmonic Orchestra. In 2012 he made his debut as a soloist with the Oslo Philharmonic Orchestra. He is also teaching bassoon and chamber music at the Barrat Due institute of music in Oslo and member of Oslo Kammerakademi chamber ensemble. Sihana Badivuku – Hoxha, born in Prishtina/Kosovo in 1967, in a musician family. She accomplished elementary and secondary musical school in Prishtina,at the class of prof. Vanco Stoilkov,Blagoja Dimcevski and Pavel Vernikov. At age of 16 she became student of Kiev State Conservatoire”P.I.Tchaikovski”at class of well known Violinist from Ukraina, Bogodar Kotorovich(1983-1984). From 1984 she became student at the Moscow State Conservatorium “P.I. TChaikowsky” where she graduated with Prof. Eugenia Chugajeva , and completed her M. A. Degree studies in violin (1984 – 1991). In 1993/94 studied in “Hochshule fur Music” in Detmold (Germany, she got the GFF Detmold scholarship ) with Prof. Young Uck Kim. In August 1994 she attended a Masterclass course in Siena (Italy) at “Academia Chigiana” with Prof. Uto Ughi. She participated at international competitions for violin (J.S.Bach-Leipzig, R. Lipizer Gorizia, (diploma as a semi-finalist) J. Szigeti Budapest) . She participated in several International festivals such as “Ohrid Summer Festival”, Days of Macedonian Music, Contemporary Music Festival in Tirana, “Gubbio Festival” in Italy , Bach’s Week.-Prishtina, International Chamber Music Festival ”KamerFest” 2000-2011 in Prishtina , International Contemporary Music Festival ”New Scene of Prishtina/Remusica, Interfest –Bitola, ”Varna Music Festival”, Bulgaria, Festival ”MUZINA”, Slovenia etc. 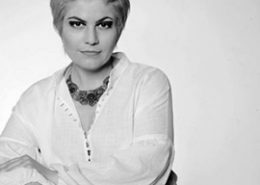 She participated in the Opening Evening “Ohrid Summer Festival 1998” as a soloist with the Austrian Radio Television Philharmonic Orchestra (ORF Orchestra) with Concert-Fantasia of Macedonian composer Risto Avramovski. She held concerts in Kosova, Macedonia, Albania, Bulgaria, Germany, Italy, Russia, Finland,Ireland, Spain, Slovenia,Belgium Canada,USA. 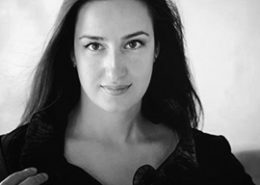 From 1992 she is professor at the Arts Faculty in Prishtina; Concert Maestro at the Kosova Philharmony,(from 2000–2012? as well as a violinist at the ensemble “Vivendi”, ”Musica Balkanica” and “String Trio Kosova”( from 2003’). She played with distinguished artists in chamber ensembles: Pavel Vernikov, Derek Han, Matthew Barley,Pierluigi Camicia,Francesco de Zan,Bertrand Giraud,Alfredo Oyaguez,Frank S.Dodge etc. Active professional collaboration with pianists: Lejla Pula, Teuta Pllana, Meri Stoilkova, Zana Badivuku, Jouni Sommero, Maja Kastratovich and Derek Han. From 2000’ she engaged herself to co-organizing as Artistic Director different musical events, icluding ”J.S.Bach Week Festivity”, International Chamber Music Festival, Kosova KamerFest 2000—2015; from 2003 a founder and creator of ArsKosova Music Foundation & ArsKosova music competition for Youth (EMCY membership from 2006-2008), also member of Festival committee board of “Ohrid summer Festival-Macedonia” 2003-2005 and Scholarship Foundation of Albanians in Macedonia from 2004”, Concert-promotions of Young classical music talents” (A.M.A.K., Foundation ”ArsKosova”). From 2000’she is member of “Association of Albanian music and ballet artists of Macedonia” as well concertmaestro and founder of Philharmony of Kosovo. Jury member of several International competitions for young musicians in Macedonia, Kosovo and Albania. From March 2010 she become president of ESTA branch Kosovo (ESTA-European String Teacher’s association), as well an board member and concertmaestro of Albanian Philharmony established from 2011. In October 2011 Sihana Badivuku published CD “Brahms Sonatas” with pianist Jouni Somero in Finland (FC-Records/www.fcrecords.fi). Born in 1968, Fraim Gashi is a Double bass player from Kosovo. 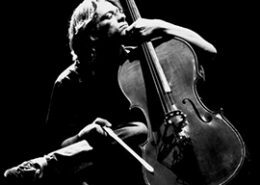 He graduated in 1992 in Academy of Music of Ljubljana in double bass. Gashi continued his studies in Lausanne Conservatory in Switzerland and got the master degree for double bass in 1999. He was quite active with solo and orchestra concerts in Slovenia and Switzerland and collaborated with well known conductors such as: Anton Nanut and Herve Klopfestein. During his career he also participated in several music festivals in his hometown and abroad: Opatia Festival – Croatia / 1990, Puccini Festival – Torre de Lago, Italy / 1990, 1991, 1992, Kosova Kamerfest – Prishtina, Kosovo / 2000, Festival of Avanche-Switzerland / 1998, 2003, 2005, Remusica Festival – Prishtina, Kosovo / 2005- 2006 etc. From 1990-1992 he was a member of Slovenian National Theatre Opera and Ballet as instrumentalist. From 1992-1996 he was member of Slovenian Philharmonic Orchestra and also for several years he was member of different orchestras in Switzerland such as: Sinfonietta Lausanne, Symphony Orchestra in Freiburg, Chamber Philharmonics of Switzerland, String Orchestra Yberdon, Chamber Orchestra of Geneva etc. Actually he is professor assistant in the Faculty of Arts in Prishtina and principal double bass at Kosovo Philharmonic Orchestra. Desar Sulejmani, Pianist and Conductor lives and works in Germany for more than 20 years. 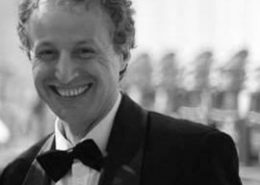 He has performed in many European countries, Asia and in South Africa as a Concert Pianist, Conductor and a member of several Chamber Ensembles. He studied Piano (Prof. Till Engel), Chamber Music (Andreas Reiner & Jürgen Kußmaul) and Conducting (David de Villiers) at the Folkwang University of Arts in Essen and the Robert Schumann Music Unviersity in Düsseldorf, Germany. Desar Sulejmani has also attended a number of masterclasses with P. Feutchwanger, C. Spencer, A. Bauni, E. Cantor, J. Kussmaul, Sir R. Norrington, S. Cambreling, S. Sloane. His conducting career began in 2003 and since he has conducted various orchestras in Germany and abroad, such as Youth Philharmonic of Neuwied, Heinrich Heine Symphony Orchestra Düsseldorf, Bochum Symphonic Orchestra, Bergisch Symphonic Orchestra, New Westphalia Philharmonic Orchestra Recklinghausen, German Rhine Philharmonic Orchestra, Cologne Orchestra Society, Folkwang Chamber Orchestra Essen, Chamber Orchestra of Gladbeck, National Symphony Orchestra of Uzbekistan, Symphony Orchestra of Albanian Broadcasting Company, Kosovo Philharmonic Orchestra, Symphonic Orchestra of National Opera and Ballet Theatre in Tirana, Albania, Hradec Kralove Philharmonic Orchestra, Czech Republic and Rotary Orchestra Germany. In addition, Desar Sulejmani has worked as a Pianist and Conductor in several Opera Theatres in Germany, (Aalto Theater, Essen, Musiktheater im Revier, Gelsenkirchen, Städtische Bühnen, Wuppertal, Opera Köln), Albania (National Theatre of Opera and Ballet,Tirana), Usbekistan (A. Navoi Opera Theatre, Tashkent). He has also performed among others, with Andreas Reiner, Frank Lloyd, Helge Slaato, David de Villiers, Frank Reinecke, Claudius Tanski, Hermann Baumann, Caroline Merz, Giuseppe Altomare, Caroline Stein, Fionnuala McCarthy, James Tolksdorf, Inga Britt Andersson, Musa Nkuna, Sabine Grofmeier, Isak Shehu, Suzana Frasheri, Ermonela Jaho, Sihana Badivuku – Hoxha, Blerim Grubi, Pjeter Guralumi, Fatos Jaho, Aristidh Prosi, Arian Paco. In October 2013 the Label Farao Classics has released the CD “Mendelssohn’s World” with all Mendelssohn’s Sonatas for Violin and Piano performed by Andreas Reiner, Violin and Desar Sulejmani, Piano. In October 2015 Desar Sulejmani was the Music Director and the Conductor of “Carmina Burana” of Karl Orff, a new Ballet Production with the National Theatre of Opera and Ballet in Tirana, Albania and choreography of the well-known Hungarian choreographer, Youri Vamos, This new production of the Carmina Burana, which involved more than 200 musicians and artists of the ballet troop, choir and the orchestra was a premier and an unique venture. It was an open event and with three more performances, Carmina Burana of Desar Sulejmani and Youri Vamos was one of the most important events of the German October 2015 in Tirana. In May 2016 Desar Sulejmani was the Music Director and conductor of the Magic Flute, a new production of the Joburg Theatre in Johannesburg, South Africa. The Magic Flute was acclaimed by the audience and many critics of Johannesburg and abroad as a very successful production. A very important aspect of Desar Sulejmani’s artistic career is the Academic Education. He has led masterclasses as a pianist, vocal coach, chamber musician and conductor in Germany, Italy, Japan, Albania, Kosovo, Uzbekistan. From 2014 Desar Sulejmani holds the position of Artistic Director of European Summer Music Academy in Kosovo. In 2016 Desar Sulejmani founded the German Rhein Philharmonic Orchestra Deutsche Rhein-Phiharmonie and became its Artistic Director and Chief Conductor. From 2017 Desar Sulejmani holds also the position of the Artistic Director of Pro Klassik Music Festival in Königswinter, Germany and in November 2018 he will become the Artistic Director and Chief Conductor of the East Bavarian Youth Symphonic Orchestra. Later in 2018 and 2019 concert tours will take him as Pianist and Conductor, among other countries, to Italy, Macedonia, Romania, Austria and Spain. Lukáš Moťka was born in 1983. He started his musical educadion in 1999 at the Conservatory P.J. Vejvanovského in Kroměříž. His first trombone teacher was Rudolf Beran. He continued at the Janáček Academy of Music and Performing Arts in Brno where he got the bachelor degree. His professor there was Jaroslav Kummer. In 2009 he started the master studies at the Academy of Peforming Arts in Prague with professor Jiří Sušický. During his master studies he was on an Erasmus program on Konservatorium Privatuniversität Wien. His teacher there was Gabriel Madas. He participated many competitions during his trombone career. In 2001 Competitions of Conservatories in Czech Republic where he won 1. prize. In 2002 Brass competition Brno – 1. prize. In 2004 he recived an award of Jury in a competition Talent of the Year. In 2005 he won 1. prize at the Competition of Conservatories of the Czech Republic and he recieved a title of absolut winner. In the same year he won the 1. prize at the Internacional Brass competition in Brno and recieved a title of absolut winner. He participated international competition Hungarofest in Budapest (semifinalist) and ARD 2007 in Munich as same as in 2008 Lieksa Brass Week (semifinalist). In 2010 he recieved 3rd price at the Internationaler wettbewerb Markneukirchen and in 2011 2nd price and a title of laureate at the Prague Spring International Competition. He has many experience as a solo trombone player. In 2006 he played a solo concert with the Brno Philharmonic Orchestra, in 2010 a solo concert with the Vogtland Philharmonic Greiz/Reichenbach, in 2011 a solo concert with the Praguer Chamber Orchestra etc. He is also member of many chamber groups – e.g. Trombone sextet „BoneTeT“ brass septet „Czech brass“ and „The Czech Philharmonic Low Brass“ – group of players from the Czech Philharmonic orchestra. He also plays jazz music with the Czech Philharmonic Jazz Band. His orchestral experience has started in 2004 in Moravian Theatre Olomouc. After that he had been the principal trombonist in the National Theatre Brno for 5 years. 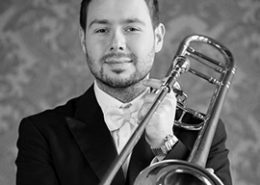 Nowadays he is a principal trombonist in the Czech Philharmonic Orchestra. Actually he studies the postgradual programe at the Academy of Peforming Arts in Prague. Karel Bredenhorst (Den Haag, 1978) studied in Holland with Monique Bartels and with Paul Uyterlinde. In Germany Karel continued his studies with Troels Svane at the Musikhochschule in Lübeck, where he graduated the soloist class with distinction and the highest grade in all subjects. 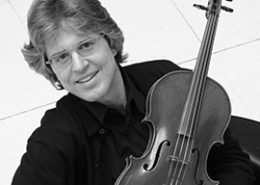 During his studies Karel was frequently coached by mastercellists such as Gustav Rivinius, Gary Hoffman, Miklos Perenyi, Steven Isserlis, Anner Bylsma and David Geringas. As a recitalist and chambermusician Karel performed at numerous festivals like the the Dordrecht Cellofestival, the Amsterdam Cellobiënnale, the Orlando Festival, the Accademia Musicale Chigiana Siena, the Styrian Chamber Music festival, IMS Prussia Cove, the Whittington chamber music festival, the Festival Internationale da Musica da Camera da Cervo, the Amerfortissimo festival and the Schleswig-Holstein Musik Festival. In these festivals Karel worked together with musicians such as Midori, Gustav Rivinius, Jean Sulem, Ulf Hoelscher, Li-Wei Qin, Erich Oskar Huetter, Paul Rosenthal, Christiaan Bor, Ian Fountain, Herman van Veen and Carel Kraayenhof. As a recitalist and chambermusician Karel performed at the Cellofestival in Dordrecht, the International Musicians Seminar and Open Chamber Music in Prussia Cove, the Accademia Musicale Chigiana in Siena, the Styrian Chamber Music festival, the Cervo Chamber Music festival and the Sommerakademie Cervo, the Amsterdam Cellobiennale and the Schleswig-Holstein Musik Festival. Karel worked together with musicians such as Sofja Gülbadamova, Midori, Gustav Rivinius, David Geringas, Jean Sulem, Ulf Hoelscher, Paul Rosenthal, Jamie Campbell, Li-Wei Qin, Erich Oskar Huetter, Christiaan Bor, Ian Fountain, Herman van Veen and Carel Kraayenhof. Karel played in various orchestras like the Viotta Youthorchestra, the National Youth Orchestra of the Netherlands, the Brabants Orchestra, at the Theater Lübeck, das Philharmonische Orchester Lübeck, the Vestjysk Symfoniorkester Esbjerg, Spira Mirabilis and the Residentie Orhestra where he worked with conductors such as Reinbert de Leeuw, Paul Goodwin, Mark Wigglesworth, Marc Soustrot, Jin Wang and Philippe Herreweghe. Karel currently plays at the Cello8ctet Amsterdam, is a member of Cuarteto Soltango and performs regularly as The GoOzer. With his former string quartet “En-Accord”, Karel won several prizes and was coached by quartetmusicians such as Sandor Devich (Bartók Quartet), Milan Skampa (Smetana Quartet), Martin Lovett (Amadeus Quartet), Ferdinand Erblich (Parkanyi Quartet), Earl Carlyss (Juilliuard Quartet), Tim Vogler (Vogler Quartet), Alain Meunier (Conservatoire de Paris), Thomas Brandis (Brandis Quartet), Hugh Maguire (Allegri Quartet) and Valentin Berlinsky (Borodin Quartet). 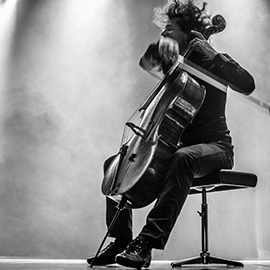 Karel currently plays at the Cello8ctet Amsterdam, is a member of Cuarteto Soltango, performs regularly with Spira Mirabilis and is founder and artistic director of the Cervo Chamber Music festival in Cervo, Italy. Endre Hegedus was born September 16, 1954 in Hodmezovasarhely, Hungary. He took piano lessons from age 5 between 1959 to 1961 in his native town from a private teacher. From 1961 he continued his studies at the local State School of Music, until 1970. In 1970 he was admitted to the Music High School in Szeged. In 1971 he changed to the Music High School of Budapest “Bela Bartok”. Mr. Hegedus made his final examinations at the same school in 1972. In the same year he started his studies at Franz Liszt Academy of Music University in Budapest. His piano professors were Istvan Antal, Zoltan Kocsis, Ferenc Rados, Andras Schiff and Anna Hajdu. He graduated as a pianist and professor of piano in 1980. From that time on he has been a soloist of the State National Philharmonic Society of Hungary. He frequently attended the master classes of Bruno Leonardo Gelber and Tamas Vasary. Endre Hegedus is well-known in international concert life. Beside numerous concert tours in Hungary and abroad, Mr. Hegedus regularly performs live studio concerts and makes master tapes for the Hungarian State Radio. He performed in Australia, Austria, Belgium, Bulgaria, Canada, Czechoslovakia, England, Finland, France, Germany, Greece, Holland, Italy, Japan, Jugoslavia, Norway, Poland, Rumania, the former Soviet Union, South Korea, Switzerland and the United States. In 1986, the year of the Liszt Centenary he was awarded the Memorial Plaque of the International Liszt Society and the Ministry of Culture of Hungary for his outstanding interpretations of Liszt’s oeuvre in Hungary and abroad. Between 1989 and 1992 he was a visiting professor at the Sapporo State University in Japan, returning to Hungary in the summer of 1992. He is invited back to Japan yearly for extended concert and teaching tours. 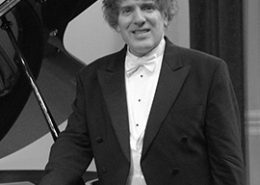 Endre Hegedus has won numerous awards at international piano competitions. The most important ones include: Rachmaninov Competition -Morcone, Italy- first prize (1987); Rina Sala Gallo Competition – Monza, Italy – first prize (1982); Sydney Competition for Young Prize-Winner Pianists – Australia- second prize and the jury’s special prize for the best chamber music performance (1981); Dino Ciani Competition – La Scala of Milan, Italy- second prize (1980) (the first prize was not awarded); Athenaeum Competition – Athens, Greece- second prize (1978) (the first prize was not awarded). In the year of 2008 Mr. Hegedus played two concerts in the big hall of Franz liszt Academy of Music University in Budapest: on May 6th a Chopin – Liszt solo recital and recently, on November 20th he played in one evening’s program the Brahms Concerto No. 1 in D minor and also the Tchaikowsky Concerto no. 1 in B flat minor with the Duna Symphony Orchestra conducted by Gergely Menesi. Endre Hegedus is married, his wife Katalin Hegedus is also a pianist and choir conductor. Mr. Hegedus speaks fluent English, German and Italian – and also Japanese. Jovan Bogosavljević was born in Belgrade. He started his musical education with his father Dragutin Bogosavljevic(student of David Oistrakh), Tatiana Olujic(student of Andrea Gertler) at the Faculty of Music in Belgrade and one of the greatest performers of our time and professor Igor Oistrakh in Brussels. Mr. Bogosavljevic has won several international awards at home and abroad. He was awarded from the Association of Musical Artists as Serbia’s best young artists for 2006. As a soloist, he has performed in the country with the most important orchestras, conductors, and hols. On abroad, he has performed as a soloist with orchestras, conductors and pianists,and he obtatained good reviews from China, Japan, Argentina, Poland, Greece, Denmark, Finland, Italy, Austria, France, Switzerland, Slovenia, Croatia. In recent years Jovan Bogosavljevic achieved significant cooperation with serbian renowned pianist Aleksandar Serdar. Since 2009 he performs as a soloist and guest in concerts across Europe with the European quartet from Munich ”Basiona Amorosa”. He was also for many years a permanent member of the quintet “Beltango” which has the title of one of the best in the world. 2012 he got prize for the best artist in the season from the experts board of Serbian music magazine “Muzika klasika”. 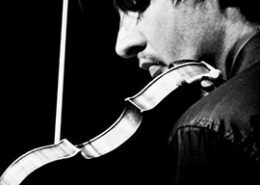 Bogosavljević is engaged in teaching activities at the Faculty of Arts in Nis and Faculty of Music in East Sarajevo as a professor of violin. Caroline Merz studied at first piano at Robert Schumann Hochschule in Düsseldorf. In 1986 she switched to singing and continued her studies at Mozarteum in Salzburg. 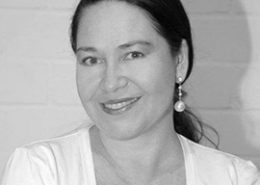 In 1988/1989 she started her career in Volksoper in Vienna, in 1992 she joined the Ensemble of the Staats- and Volksoper in Vienna. Since 1997, Caroline Merz has been a freelance singer. She has gained renown in the whole of Europe especially as Mozart interpreter, in the roles of Pamina and the Queen of the Night (The Magic Flute), of Donna Anna or the Countess (The Marriage of Figaro). Besides the classical soprano roles in all well-known operas and operettas, she has aroused attention with a number of premieres, e.g. with Neue Oper Wien. She has also been a desired guest in many European countries with her concerts and song soirees. Caroline Merz has won several times the first prize of the VDMK federal competition in the category of opera, song and oratorio. She has also been awarded the first prize in the Adami Corradetti competition in Padua. She has participated in a number of TV productions and released various CDs, among others collected recordings of Reinecke Songs and Cole Porter Songs.